We know where we want to be on September 22! 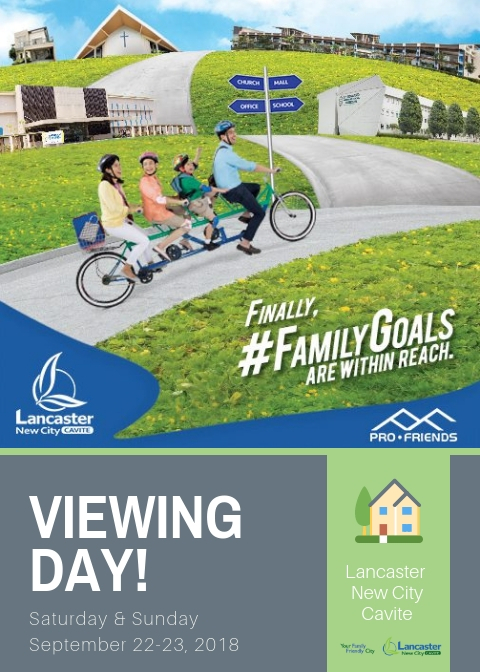 Experience an exclusive sneak peek of Lancaster New City Cavite’s houses and amenities! We invite you to come and join us to our Viewing Day at Lancaster New City Cavite this coming September 22-23, 2018 (Saturday & Sunday) from 9am to 5pm. Discounts are waiting for you! Reserve Now!